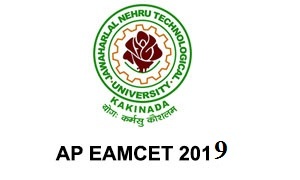 AP EAMCET abbreviated as Andhra Pradesh Engineering, Agriculture and Medical Common Entrance Test is conducted by Jawaharlal Nehru Technological University (JNTU) Kakinada on behalf of APSCHE (Andhra Pradesh State Council of Higher Education). AP EAMCET is a key to seek admission in various top engineering and medical institutes in the state of Andhra Pradesh. Every year more than 3 lakhs students participate in the entrance examination for engineering. AP EAMCET 2019 is conducted through online mode and the candidate’s completed/pursuing intermediate can appear for the exam. The complete details regarding the entrance exam is mentioned in the below article for the students reference. In the below mentioned table, the details regarding the AP EAMCET 2019 schedules are provided. The schedules are been declared by the admission authorities of Jawaharlal Nehru Technological University. Candidates willing to appear for AP EAMCET 2019 will have to check the eligibility criteria. The admission authorities of AP EAMCET have set the eligibility criteria considering the factors like age, nationality, qualification, etc. Age: Candidates appearing for AP EAMCET 2019 should be minimum of 17 years and maximum 22 years of age. Nationality: Candidates will have to be an Indian or a Person of Indian Origin/Overseas Citizen of India to appear for AP EAMCET 2019. Along with the nationality candidates should be a resident of Andhra Pradesh or Telangana. Qualification: Candidates completed or pursuing the 12th/intermediate with Physics, Chemistry and Mathematics as mandatory subjects, can apply for AP EAMCET entrance examination. AP EAMCET 2019 application form will be released through its official website and the candidates can apply for the entrance examination through online mode. The application form will be available in the month of February 2019. Visit the AP EAMCET 2019 official website and navigate to Apply for AP EAMCET link. Provide the required details and upload the scanned copy of candidate’s photograph and signature. After uploading the documents make the payment and click on submit option. Payment can be made through online mode via, net banking/credit card/debit card. Candidates should take the printout of the duly filled application form for the future reference. Candidates should upload the scanned copy of recent passport size photograph and signature before making the payment. In case of any mistake during the form filling, candidates can rectify them within the correction period through online mode. In case of late submission of application form the candidates will have to pay the fine depending on the time period of form submission. JNTU has customized the AP EAMCET 2019 exam pattern into multiple choice questions for 160 marks. The below mention table provides the complete accurate details regarding the exam pattern of the entrance examination. Mode of Exam: AP EAMCET 2019 entrance examination will be conducted in online mode. Medium of Exam: Candidates willing to apply for AP EAMCET 2019 can opt for English language or Telugu language. Duration of Exam: AP EMACET 2019 entrance exam will be conducted for 180 minutes, i.e., 3 hours. Exam Format: AP EAMCET 2019 question paper would consist of objective type’s questions, i.e., multiple choice questions. Each question will consist of 4 options out of which candidates will have to choose the correct answer. Total Marks: AP EAMCET 2019 entrance examination will be conducted for 160 marks. Subjects: AP EAMCET 2019 exam paper consists of 3 subjects, namely, Physics, Chemistry and Mathematics. Marking Scheme: In AP EAMCET 2019, candidates can gain 1 mark for every correct answer. In case of any wrong answer or unanswered questions, there will be no negative marking. Mock test is a replica of the AP EAMCET 2019 entrance examination released by the JNTU admission authorities. The mock test consists of the same syllabus, question paper pattern, time duration of the AP EAMCET. Candidates can opt for the mock test to get an idea in regards to the entrance exam and prepare for the exam accordingly. Jawaharlal Nehru Technological University releases its hall ticket for AP EAMCET 2019 though online mode. Aspirants can download the admit card form its official website and it is mandatory to carry to the examination center. Visit the AP EAMCET official website and navigate to Admit Card link. Provide the Application Number and Date of Birth of the candidate. Click on Submit option once the admit card is displayed download and take the print out. JNTU releases AP EAMCET 2019 Answer keys in the month of May 2019 through its official website. The authorities will initially release the preliminary answer keys for the students to calculate their probable scores and later after the declaration of results; the final answers will be released. If any candidates willing to challenge the answer he/she can apply for the same. JNTU declares AP EAMCET 2019 results through online mode in the month of May 2019. Aspirants can download their results from AP EAMCET official website by logging in by entering their registration number and date of birth. Visit AP EAMCET official website and navigate to Results link. Login with candidate’s registration number and date of birth. Once the score card is displayed download and take the printout. Cutoff for the AP EAMCET 2019 will be declared by the admission authorities of JNTU. Cutoff will be calculated based on the factors such as total number of candidates, availability of seat, scores obtained by the candidates and many more. Counseling for AP EAMCET 2019 will be held in two rounds under the guidelines of JNTU admission authorities. The procedure involves document verification, payment of fees and reporting to the allotted institute. The counseling process will be held on the basis of the merit list of the candidates. Jawaharlal Nehru Technological University has established its exam centers in 14 Districts of the state covering 40 test centers in all the cities. In the below mentioned table, candidates can check their nearby exam center.